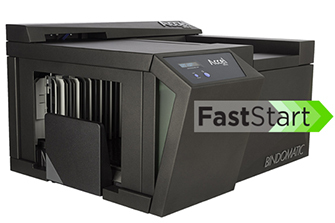 FastStart is Coverbind’s latest innovation helping increase your binding efficiency by drastically decreasing warm-up time. The machine is ready to bind almost instantly so there is no wait. How do I get FastStart? 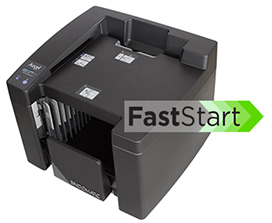 FastStart will be standard on all Accel Cube and Ultras shipped after November 1, 2018. Maximize efficiency with the ability to batch-load 50 documents at one time.